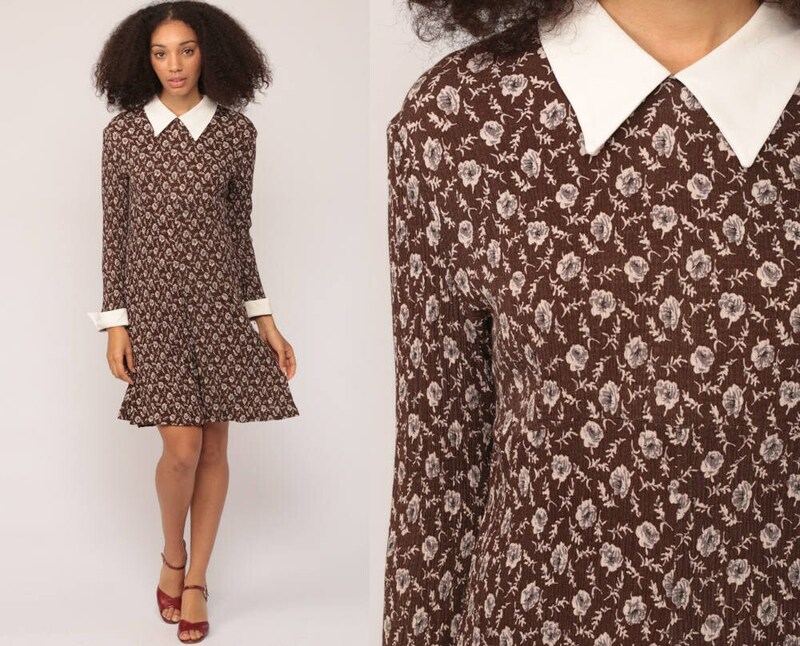 Vintage 90s does 60s dress in crinkled brown rayon with a floral print and a peter pan collar. Shift cut with long sleeves. Mini length.